Why is a Robot Vacuum Cleaner a Great Christmas Gift? Christmas is around the corner and yet again, it’s time to think about presents and gifts. While it is easier to select a gift for kids and children, it is quite a challenge to get an adult a gift they will like and remember you for. Even though most adults prefer gadgets and other cool stuff, today, I would like to suggest for you a rarely though and equally cool Christmas gift; a robotic vacuum cleaner. In as much as it may sound very weird, this is a really cool gift that will leave a mark on the life of your loved ones. Whether it is for your eldest son or your parents, a robotic cleaner will change their life by relieving them that extra burden of having to worry about the cleanliness of their floors and carpets. What is a Robot Vacuum Cleaner? Is a Robot Cleaner a Worthy Purchase? I know most people still don’t understand the concept of a robot vacuum cleaner. However, the traditional vacuum cleaners are very common and you must have heard about them already or even interacted with them Robot vacuum cleaners are very similar to the traditional vacuum cleaners. They are both cleaning appliances that use suctioning as the main cleaning approach. However, robot vacuum cleaners are different from the traditional vacuum cleaners when it comes to convenience. This is the only distinguishing factor between robot vacuum cleaners and traditional vacuum cleaners. To put it into perspective, while traditional vacuum cleaners are operated by humans, robot vacuum cleaners work autonomously and that’s where the concept of robotics comes in. A robot vacuum cleaner doesn’t need human intervention to clean floors. Also read: How to choose a Robot Vacuum Cleaner? In this segment, we are going to see whether a robot vacuum cleaner is a worthy purchase and ultimately, the best Christmas present. I know, for most of you, maybe you have received or given a traditional vacuum cleaner as a present. So, the question is, why would you spend a few moiré bucks on a robot vacuum cleaner? If this is a bother for you, we have discussed the reasons that make a robot vacuum cleaner a better Christmas gift more than anything else. That said, here are some of the features that make robot vacuum cleaners very cool, and the ultimate Christmas gift. Robot cleaners work exactly like humans and require very little intervention from you when emptying the bin only. Otherwise, it has the ability to do the rest of the cleaning themselves. It is the convenience part that makes robot vacuum cleaners the best gifts. From the fact that it does the job like a human, offering it as a gift to anyone is like hiring for them a full-time helper. 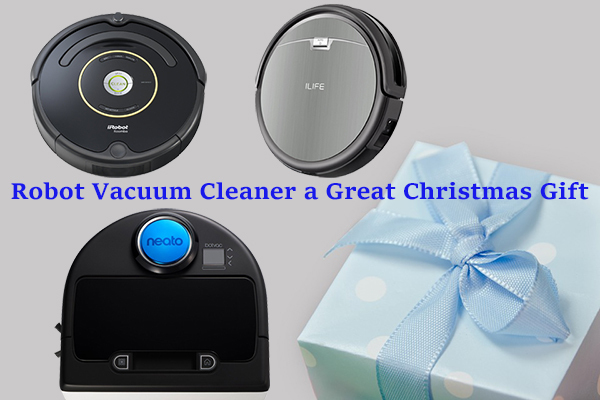 There are several aspects of that make robot vacuum cleaners the best Christmas gifts. First, robot vacuum cleaners come with a specially made feature that allows them to work independently. If you are tired of waking up to clean your house daily, then a robot cleaner will make work easier. Robot vacuum cleaners can be scheduled to start cleaning autonomously without being prompted. All you have to do is program it to start cleaning at your preferred time. Once this time reaches, it will leave the docking station and embark on cleaning. You actually don’t have to be at home for it to work. In the event that it runs low on charge, the self-docking feature enables it to locate the charging base where it will charge and resume cleaning from wherever it left. However, when shopping makes sure the particular vacuum cleaner you want to buy has the auto-resume feature. This convenience makes robot vacuum cleaners a great gift for any homeowner and especially the elderly. Another great advantage of robot vacuum cleaners is that they are very fast and efficient. While it may take you over 3 hours to clean your floor, robot vacuum cleaners will take an average of 45 minutes to clean your house. The precise navigation systems will map the layout of your house and plan a methodical and patterned cleaning process. With a methodical pattern, the robot will clean your house faster than when you do it yourself randomly. Robot vacuum cleaners also offer the best-in-class floor cleaning. First, they have been built in low profile designs to allow them to fit under most furniture. Remember that most dirt hides under sofas, beds, kickstands and deep corners as well as wall edges. When cleaning your house by yourself, getting under this furniture is very hard. To get to these hard-to-reach areas, you need to be moving furniture which is a very tedious undertaking that will strain you if you have to do it daily. Hardwood floors are very fragile and delicate. Constant mopping with water may damage the wooden planks. For this reason, you need to get a specially designed robot vacuum cleaner that has been engineered to offer the best cleaning and vacuuming of hardwood floors. These cleaners will clean your floors without impacting on them negatively in any way. Some of the best robot vacuum cleaners for hardwood floors that you can buy for your loved ones as Christmas gifts include; INLIFE I6, ILIFE V5s Pro, Xiaomi Mi, XShuai T370N, and so on. In as much as carpets are great in adding a touch of elegance to any home, they get dirty easily and are very hard to clean. Fortunately, we have vacuum cleaners that have been specially designed to handle carpet cleaning. These vacuum cleaners have high suction power and several other features that make them best for cleaning carpets. One popular and very effective technology is Carpet Boos that is in the Roomba 980. Other great vacuum cleaners for carpets include; Eufy RoboVac 11, iLIFE A4s, Roomba 650, ECOVAS DEEBOT N79, and so on. Also read: What are the Best Robotic Vacuum Cleaners for Carpet? If you keep pets, you know very well that pet hair and fur can be such a nuisance. It is very common to find pet hair on your clothes, sofas and dominantly on floors and carpets. Due to their nature, cleaning them is very hard. You just need a vacuum cleaner that has been designed for pet hair to beat the cleanliness test. Some of the best robot vacuum cleaners for pet hair include; Roomba 595, ECOVAS DEEBOT N79, ILIFE V3s, among others. Also read: What is the best Roomba for pet hair? These vacuum cleaners have been engineered with the best filters to ensure the air in your room is thoroughly filtered to remove allergens like dander, dust, dust mites, pollen and other contaminants that can trigger allergies. Examples of such vacuum cleaners include; Deik Smart Mopping Robot Cleaner, CLOBOT MT810, Pyle PureClean PUCRC90 among others. Lastly, there are some versatile vacuum cleaners that have been engineered for general floor cleaning. In as much as they are not specially made for a particular floor cleaning requirement, they offer great cleaning for all floor types and even clean pet hair and allergens. If you are just buying a vacuum cleaner for no particular cleaning need, then this cadre of vacuum cleaners will be best for you. Now that you know how great robot vacuum cleaners can be, it’s time we look at a few things about shopping for the best robot vacuum cleaners for Christmas gifts. When looking for a robot vacuum cleaner, there are a few important factors that you need to consider. 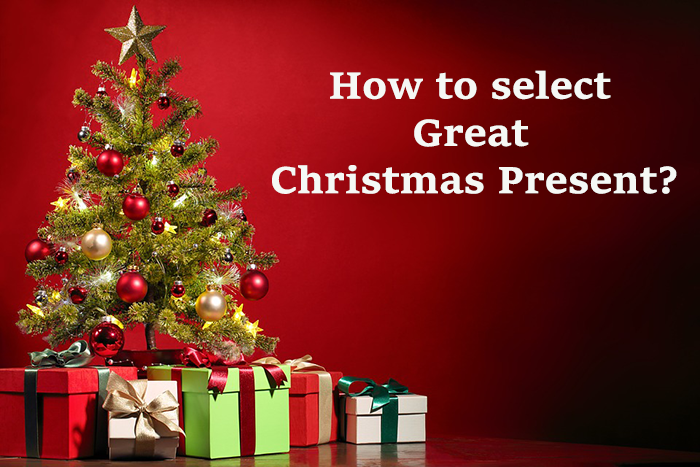 In this segment, we will discuss 5 important considerations that you should be keen on when buying robot vacuum cleaners for Christmas gifts. Considering the brand is very important when shopping for any product, robot vacuum cleaners are no exception. The perfect robot vacuum cleaner for your Christmas gifting should be from a reputable brand for two reasons. One, a trusted brand will give you value for money. Such a robot cleaner will have the best features and performance compared to these lesser known brands. Top brands also have readily available replacement parts for example filters, which need to be replaced as often as possible. In as much as these lesser known brands are cheap, they are not really value for money. So, make sure you get a robot vacuum cleaner that will give your loved ones long and reliable service. Some of the top brands to buy from including iRobot, ECOVAS, Samsung, ILIFE, bObsweep and so on. Also read: What are most popular brands of robot vacuum cleaners? Before buying a robot cleaner as a gift, make sure you are well versed with the cleaning needs of your loved ones. If they have hardwood floors, makes sure you get them a robot vacuum cleaner for hardwood floors. On the other hand, if they are pet lovers, get them a robot cleaner for pet hair. Besides the cleaning priority, it is important to look at other factors like battery runtime, cleaning area per cycle, cleaning technology, scheduling, cleaning modes, navigation and so on. If you are totally green, the best thing is to read robot vacuum cleaner reviews. These expert reviews will guide you on which the best cleaners are. With the new models of robot vacuum cleaners, there are so many extras that you can check for example Wi-Fi. Many brands are now including Wi-Fi connectivity in the vacuum cleaners. This allows homeowners to connect to their cleaners remotely via Smartphone App. There are also features like voice-activated control, boundary marking, UV sterilization, and so on. However, note that these features come at an extra cost. 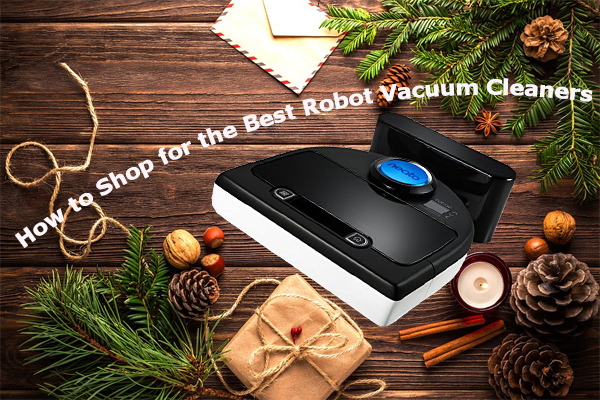 Now that you know why we are saying that a robot vacuum cleaner is a great Christmas gift, it is time you make a decision on which robot you will buy as a Christmas present. Just set your budget and start shopping for the best robot vacuum cleaner. Note that you will get a worthy robot from $100 all the way to $1000. There are also a few that cost less than $100 but again, cheaply is expensive! 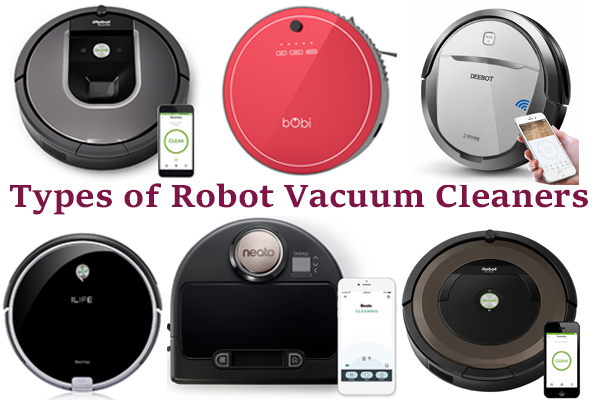 If you are not sure of the best robot vacuum cleaner to buy for your loved ones as a Christmas gift, then here is a review of the best robot cleaners that will help you get the best value for your money. The iLIFE V7s Series Smart Hybrid Vacuum Cleaner Roomba 690 vs 890 - Which is the best model?